How you show them is completely up to you. Up close in a macro of a wildflower or the inflorescence of a shrub in bloom? Cool. A native shrub in bloom, perhaps even in your backyard? Terrific! Wildflowers popping up along a trail? Awesome. 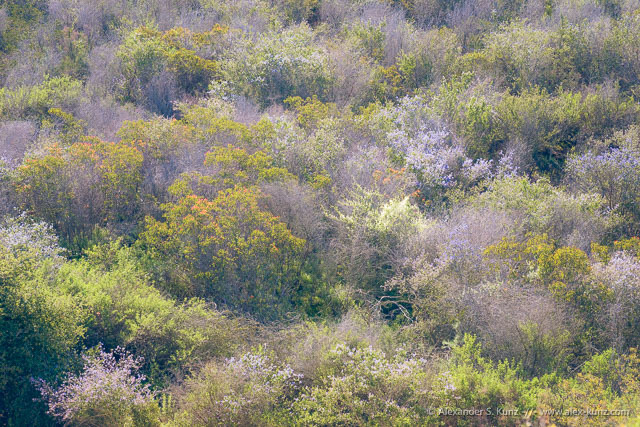 The larger view of a chaparral hillside with all kinds of hardy shrubs in bloom? Beautiful! 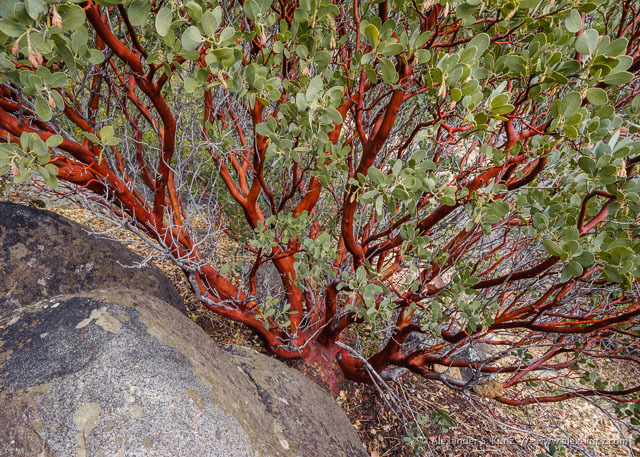 Whether it’s chaparral-covered hillsides, sagebrush-dotted slopes or close-ups of wildflowers: that’s what we’d like to see. Questions? Feel free to ask in our Facebook group. Have fun exploring and photographing, and we’re looking forward to seeing your photos. Just to give you an idea what to look for and what you can find… (all of the photos were made in previous years in the month of February). 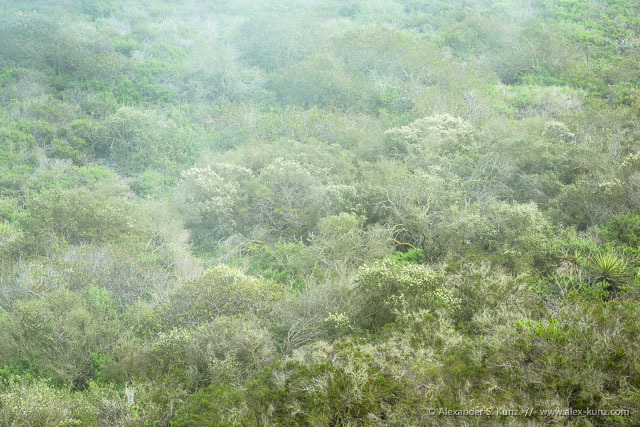 Coastal Chaparral and morning fog, Torrey Pines. 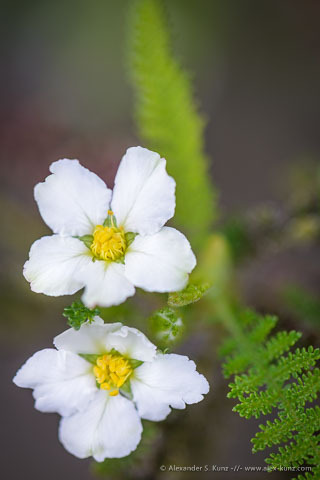 Flowers of Southern Moutain Misery (Chamaebatia australis), Black Mountain Open Space Park. Wild cucumber flowers amidst Ceanothus and Laurel Sumac, Daley Ranch, Escondido. 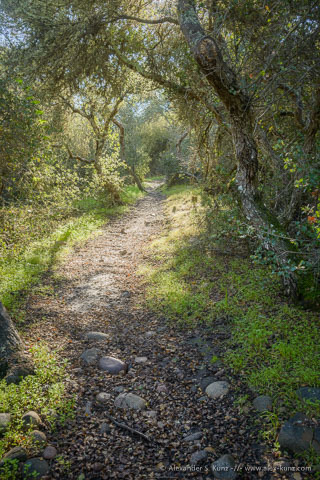 Trail through old-growth Scrub-oak chaparral.